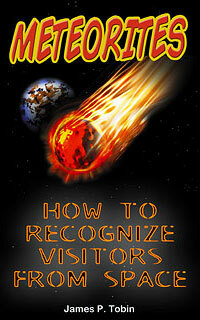 Meteorite Impact Description: It can happen any time of the day. Something almost subliminal causes you to look up. There in the sky with small and yellow trailing smoke is a meteor. It is larger than any you have seen before. In just a second you realize that it is very different from any meteor you have seen before because it is getting larger and nearer at an astounding rate. For those unfortunate enough to be at the point of impact seconds later there is no escape. Tremendous heat may ignite anything that will burn and then the ground is penetrated. In just milliseconds the asteroid comes to rest deep underground and releases all the energy it had in motion and all the compression of the target rocks. Nearly the entire mass of the asteroid is converted to vapor. It expands and excavates a crater flipping over the rock layers almost as a unit piling them up around the cavity newly formed. A wave of heat and dust will shroud the area. Almost everything in the area dies. Most of us have seen the sequence of the previous paragraph played out in sci-fi movies many times. Asteroid impacts are actually rare events. Space is a big, mostly empty region and though we are hit by thousands of small meteorites every day, large crater forming impacts occur very infrequently. Yet there are dozens of craters on the Earth. 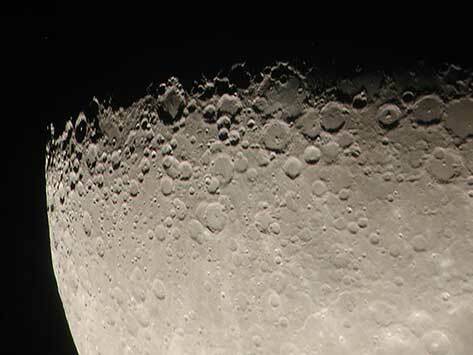 From these craters we learn a great deal about an important mechanism that shapes all the bodies in our solar system. As we explore space, without exception the images returned show impact craters on the surface of all hard rocky bodies. We know from observing the Moon that impacts continue. Without an atmosphere to slow and ablate asteroids and meteoroids every impact on the Moon is a hyper velocity impact. Just as this is being written images of a new crater that recently formed are appearing in the news. Cameras record bright flashes when objects crash into the lunar surface and then images from before can be compared to new images of the area. Fortunately, our thick atmosphere shields us from most of the small objects. Meteor Crater in central Arizona was the first impact crater to be studied and it remains one of the best places to study still today. It is not a large crater but it is the best preserved. It is young in age and is in a dry climate where erosion is somewhat slower than other areas of Earth. 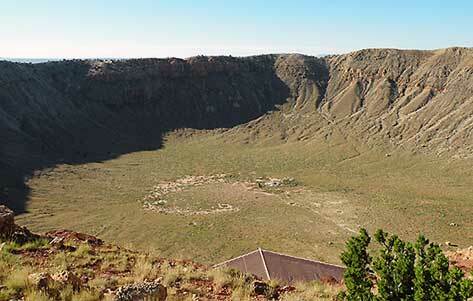 Chunks of cosmic iron have been found around Meteor Crater for over a hundred years. But, not all craters have meteorites around them. Some are too old for fragments of space rock to have survived. Other craters are so old little evidence of even the crater itself remains. But, some craters do have meteorites in the soil around them. As it turns out many craters have been formed by iron asteroids. These chunks of iron are portions of the cores of large broken asteroids. They have higher strength and survive the passage through the atmosphere to often strike the ground intact. Comets have the ability to create craters too and some of the very old and huge craters may have formed from comet impacts or large asteroids made of either stone or iron. In many cases we do not know for the very oldest what formed them. Several processes are occurring simultaneously that can create the meteorite fragments later recovered around craters. The two main sources of meteorites are pieces torn and broken from the asteroid during its plunge through the atmosphere. The other source is the small portion of the mass which survives vaporizing. These fragments are blown out along with rock from the forming crater. The meteorites formed by these two processes will have very different appearance. The meteorites that formed in the atmosphere will have the same type flight marks and characteristics as meteorites that arrive without forming a crater. They will often have thumbprints and a smooth surface covered with a fusion crust. The meteorite fragments that survive the subterranean explosion are often twisted and the metal stretched and torn. Meteorites do not like heat and the temperature of creating the crater will damage the crystalline structure that formed by slow cooling in space. This damage when examined by scientists provides a clue to the extent of the heat the fragments survived. Most craters have been know for years and have had their meteorites removed over time. But, recently a couple new craters have been discovered. The initial examination was conducted under controlled circumstances. This has allowed scientists to discover some important data about the distribution of meteorites around the crater structure. The Whitecourt Crater in Canada has been one such controlled study. A protected area was created by officials to control the collecting of specimens near the crater. The importance of this is that the size and location of meteorite finds may reveal the direction of the asteroid’s travel and the angle that it hit the ground. Whitecourt is a rather small crater discovered by modern technology in a thick forest. It is of quite recent age with iron meteorites that are twisted and torn. Thousands of fragments have been recovered each with a GPS location recorded. This level of care in field recovery of meteorites is unprecedented. Researchers have gathered years of data to work with. Example of meteorite crater formation. Sometimes there is disruption of the mass in the atmosphere and several large pieces will fall in a small area creating a cluster of craters. The Henbury craters in Australia are perhaps the best example of this but it also happened at Odessa in Texas. At Henbury some of the craters overlap sharing common walls and rims. 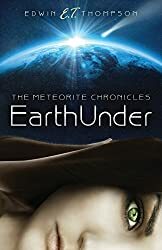 Since the meteorites are all the same type the easiest conclusion is to believe that the one mass broke along some weaknesses and formed several large chunks that hit within the small area of land. But, it could also be possible that some multiple craters are formed by separate asteroids that are gravitationally connected and fall together. It is possible that these could likewise be of the same type having been a group since formation. But, it is also possible that the companion asteroids were caught later and could be of a different type of material. The Ries and Steinheim craters are separated by some distance in Germany but appear to have fallen at the same time. No actual fragments of these asteroids remain but they formed large craters that have given scientists plenty of information about the cratering process. Such large craters show much more melting in addition to the breaking and throwing of rock. Glasses and less well melted rocks can form in huge quantities during large impact events. In the last century we have had a few near misses as a planet. There is a worldwide effort to catalog all the Near Earth Asteroids to get some advanced warning of asteroid threats. The Tunguska Event of 1908 and last year’s Chelyabinsk meteorite fall demonstrate the dangers of air-burst explosions where the body does not even reach the ground but explodes at high altitude. Will the Earth be hit again by a large asteroid? The answer is yes and right now we do not have a means of protection or a very good means of threat detection for smaller objects.